ForRentByOwner.com is your online source for South American rental properties. 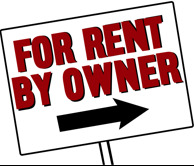 This site provides a worldwide audience for owners looking to rent or lease property. Owners list rental properties, including houses, apartments, townhouses, condos, and vacation rentals. Search our directory for rental properties in South America, or post your property on ForRentByOwner.com. No Rentals found in "South America"